Jerusalem Synagogue Massacre: Israel's Enemies Unite In Thoughts, Words and Deeds ! 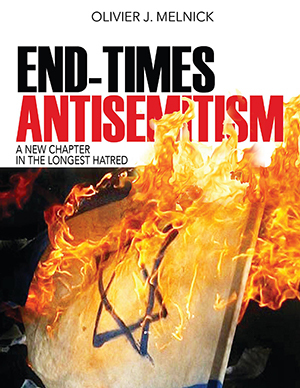 You are here: Home / Antisemitism / Jerusalem Synagogue Massacre: Israel’s Enemies Unite In Thoughts, Words and Deeds! 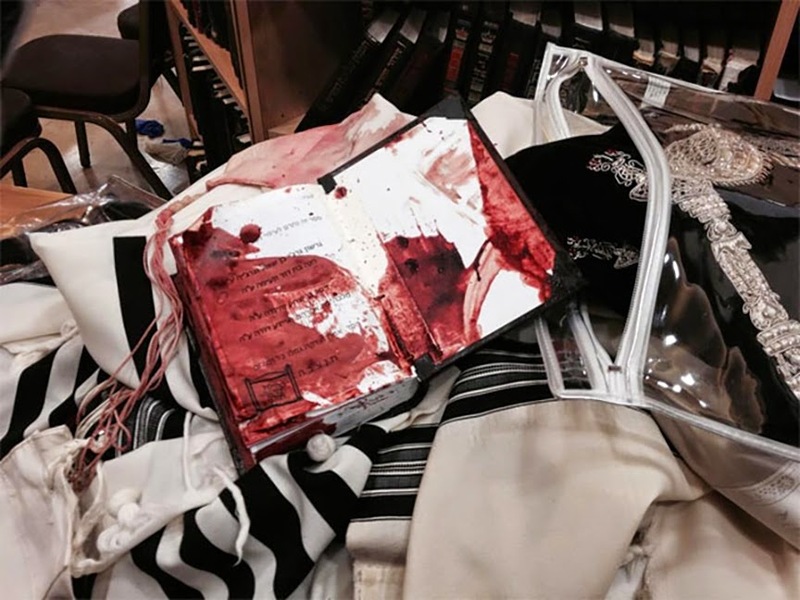 Jerusalem Synagogue Massacre: Israel’s Enemies Unite In Thoughts, Words and Deeds! It was in the midst of a daily service that the lives of the congregants of ultra-orthodox synagogue Kehilat Bnei Torah were changed forever. Apparently “inspired” by the butchers of ISIS, two Palestinian cousins with hatchet and gun in hand, barged inside the house of prayer and killed four people–three of them rabbis– and wounded many more. The death toll was raised to five when one of the first responding police officers who was shot in the head, died within hours. This was the worst attack in Jerusalem since 2008. My heart goes out to the families of the victims as well as the community around that particular synagogue. But it really is the whole worldwide Jewish community who was hit on Tuesday. I have often said that the new anti-Semitism finds all Jews guilty of Israel’s “crimes” as if by proxy, regardless of their locale. While this concept is not rooted in logic, a similar one–that one with merit– relating to the global Jewish community, makes all Jews mourn when they hear of the loss of a fellow Jew. For that reason, I mourn our loss and I denounce the barbarism of the perpetrators. Passed the obvious outrage about this unspeakable act of terrorism, we need to consider the crimes beyond the crime, as we have also witnessed much more anti-Semitism than that of the two Palestinian murderers. What was the world’s response to this third act of terrorism in Jerusalem in the last month? I don’t doubt that the majority of Israelis want peace in the region. I am also aware that even in the midst of the Jewish community, there might be some who do not wish for peace with the Palestinians and might even display some signs of racism. Let’s remember that racism is part of human nature and as such it exists globally. This being said, the vast majority of Israelis do want peace. On the other hand, I strongly disagree with President Obama regarding the Palestinian desire for peace. Come on Mr. President, it was only minutes after the crime that Palestinians were celebrating on the streets, holding pictures of the two terrorists as heroes and passing out candy. Even Hamas leadership was very clear in their position as they praised the attack on the synagogue. Fatah leader Mahmoud Abbas denounced the attack, but of course he remained silent when it came to voice his disagreement with Hamas. It wouldn’t be the first time that Mr. Abbas speaks from both sides of his mouth. Let us not forget that Hamas and Fatah are at peace and working together to promote the establishment of the State of Palestine. According to Hamas’ charter, Israel and the Jewish people must disappear for Palestine to exist, as is clearly stated in several of their 36 articles. Article 8 The Hamas document reiterates the Muslim Brotherhood’s slogan of “Allah is its goal, the Prophet is the model, the Qur’an its constitution, jihad its path, and death for the sake of Allah its most sublime belief. Article 13 There is no negotiated settlement possible. Jihad is the only answer. As a Jew, I must ask: “What part of ‘they want to kill us ALL’ do you not understand Mr. President?” In the meantime, the US and the EU continue to fund the Palestinian Authority indiscriminately. Does that make them co-conspirators or co-perpetrators? Aside from the two direct perpetrators, the myriad of cheering Palestinian supporters and various world governments making empty statements, we also must consider how the media kicked Israel and the Jewish people while they were down–a common practice, so it seems. The bias is nauseating! • CBC Canada News originally reported that:”Jerusalem police fatally shoot 2 after apparent synagogue attack”. Absolutely nothing was mentioned on the Jewish victims at first. • The New York Times was beyond vague as they headlined: “four killed in Jerusalem synagogue complex”. The reference to the two men being Palestinians was scratched. • The Guardian (British News) reported that four worshippers were killed by two men armed with axes. Nor reference to the men being Palestinians. Once again, in the midst of a bloodbath, Israel’s enemies have joined forces. Perpetrators, supporters and reporters all seem to look at the Middle East crisis through the same warped lenses of bias and anti-Semitism. Long gone are the days when I gave them all the benefit of the doubt and allowed them to claim ignorance. There was malice in the act itself, there was malice in those supporting it and there was even malice in the heart of those reporting the tragedy. In Psalm 133:1 we read Behold, how good and how pleasant it is For brothers to dwell together in unity! As the enemies of Israel continue to stand together in defiance of the real meaning of this beautiful passage of Scripture, we, the Jews and the friends of Israel must dwell together, hold hands and keep each other in a prayerful vigil. I will bless those who bless you and I will curse him who curses you”.